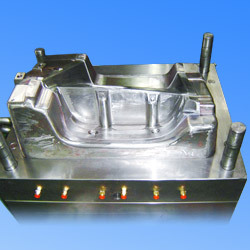 Plastic injection molds/ mould for plastic injection. 1. Parts and accessories for vehicles, like: cars, motorcycles, scooters, housings, casings. 2. Frames of IT products: enclosures, shells and covers of household electrical appliances. 3. Office equipments: plastic containers, plastic connectors, toys. 1. We are capable to offer cost-effective, optimised design, and on-time delivery. 2. We can produce any sizes, shape and style as your requests, welcome OEM & ODM.